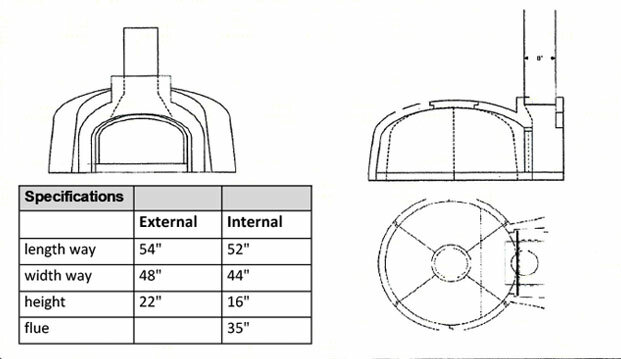 The AD110 is the largest oven we offer. Its perfect for commercial use or entertaining large crowds. The oven can easily fit 6 pizzas at once. This oven is also available as a D.I.Y. kit. 1. One fully built oven. 3. One stainless steel handle pizza paddle. 4. One powder coated oven door. 5. 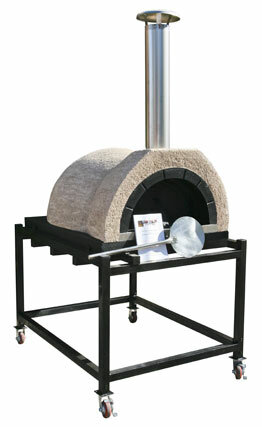 Steel frame oven stand with wheels. The AD110 is ready to ship. 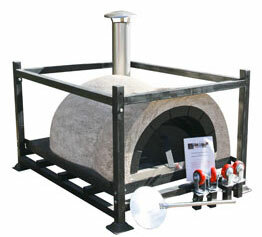 It is packaged in a steel frame which can be used as an oven stand when flipped upside down. Gross weight = 2646 lbs.